The Ginger Dress is the definition of style and class! 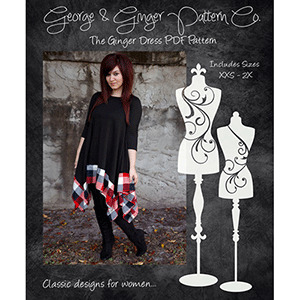 Released exclusively by G&G, this handkerchief dress pattern is perfect for mixing fabric types and textures! 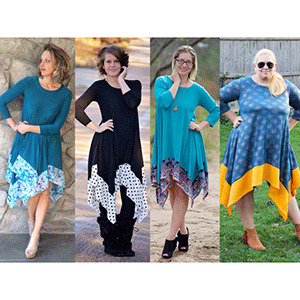 With three sleeve lengths with optional bands, this dress will carry you through all seasons! Dress it up with fabulous heels or wear it with boots or flats for every day! Leave off the bottom trim and wear it as a darling tunic… This stunning design is a must have for any trendy seamstress’ collection! 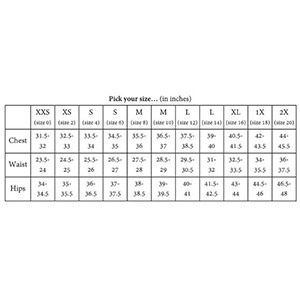 Suggested fabrics are cotton jersey, cotton lycra, hacci sweater, or ponte de roma.